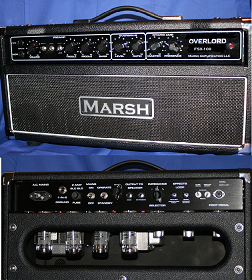 The 18 Watt Marshall Clone Kit!!! This is it!!! The classic crunch tone in kit form!!! 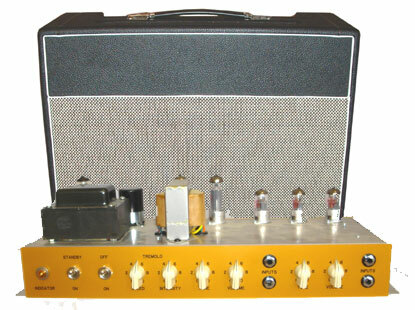 This is the Tremolo model!!! All high quality Vintage style componenets throughout. Sprague Atom and JJ/Tesla electrolytics, Carbon Comp Resistors, Mallory 150 series or equivalent coupling caps, cloth push-back wire etc. This 112 combo AKA the mini Bluesbreaker comes with a great sounding MOJO Brittish Vintage ceramic speaker or you can upgrade it to a classis Celestion Greenback!!! Instruction booklet and Email support insure a successful project!!!! Non-stock cabinet production time is 30-45 days from our supplier.